How Many Calories Are in McDonald's Food? The McDonald’s menu choices include hamburgers, chicken sandwiches, salads and a host of side orders and beverages. 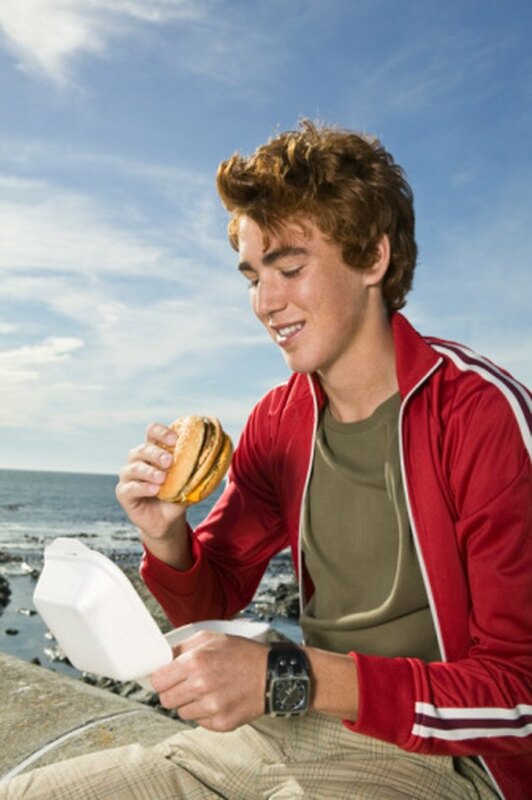 As with any fast food outlet, the fat and calories can add up quickly to undermine good nutrition. A Big Mac provides 540 calories, which is equivalent to 27 percent of the recommended calorie intake based on a 2,000-calorie daily diet. A Quarter Pounder contains 410 calories and a Double Quarter Pounder with Cheese packs 740 calories. Lower calorie burger options include the Filet-o-Fish, which contains 380 calories; the McChicken Sandwich, which has 360 calories; or a 300-calorie cheeseburger. Adding french fries to your meal pushes the calorie content up. There are 230 calories in a small portion, 380 in a medium and a whopping 500 calories in a large portion. Ketchup adds 15 calories per packet. Opting for a package of barbecue, honey or sweet & sour sauce will add 50 calories; the honey mustard sauce contains 60 calories per packet. Drinking a 12-oz. Chocolate Triple Thick Shake will add 440 calories to your meal. The vanilla or strawberry flavors deliver 420 calories apiece. For a lower calorie option, opt for the 12-oz. Strawberry Banana Smoothie, which contains 210 calories or even better still, a small Coca-Cola or orange juice -- both of which provide 150 calories. How Many Calories Are in a Big Mac Meal?